This is probably the lowest price you will ever pay to see the amazing Jessica Hernandez & the Deltas. Jessica Hernandez & The Deltas are a band from Detroit that are about to explode into national music notoriety. 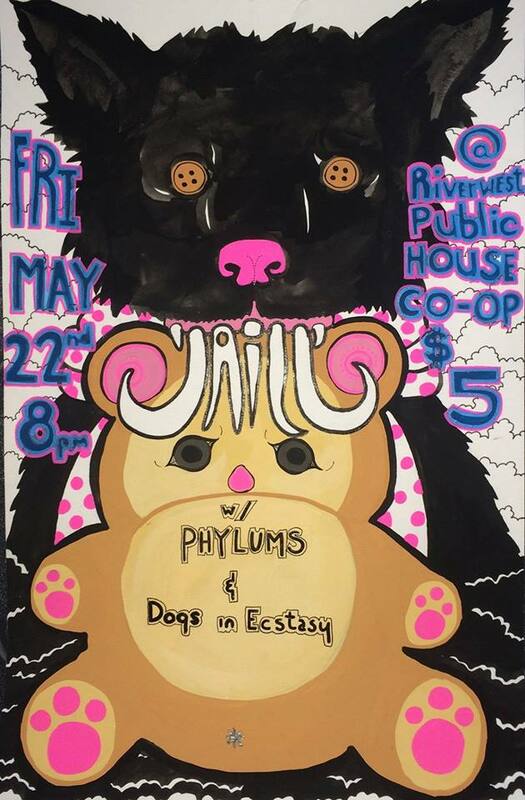 This Friday they’re playing with local favorites Midwest Death Rattle and Lauryl Sulfate (It’s also Lauryl’s birthday. happy birthday, Lauryl!). The show is $5, which, as you saw in the title of this post, is probably the lowest price you’ll ever pay to see Jessica Hernandez again. 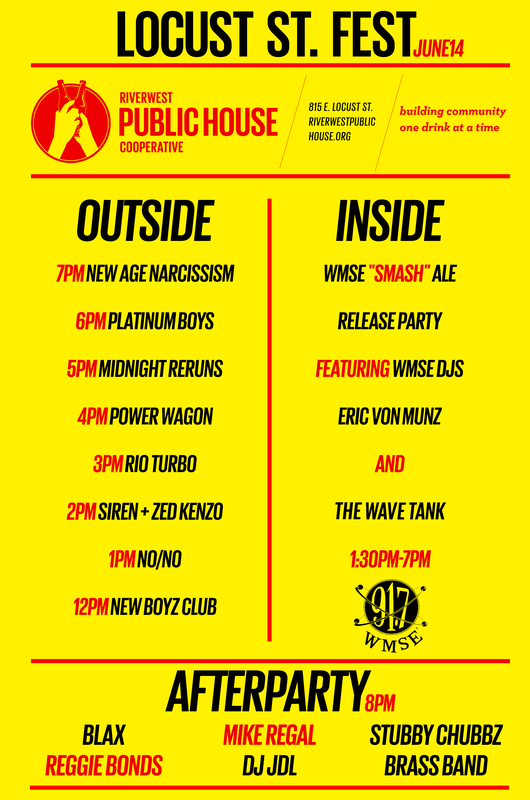 All this is to say that you will feel extremely regretful on Saturday morning if you miss this Friday’s show. Paste Magazine are streaming the entire new Demons EP, that will be released next week digitally, and CDs will be available at the show. Featuring Bella Union recording artist Heidi Spencer. Singer songwriter Susan Howe, Jen Cintron from 4th Street Elevator & Sarai Anzaldua from The Elementals. Also, just added to the lineup Darele Bisquerra! Rare opportunity to hear these five talented women perform in an intimate all acoustic showcase. 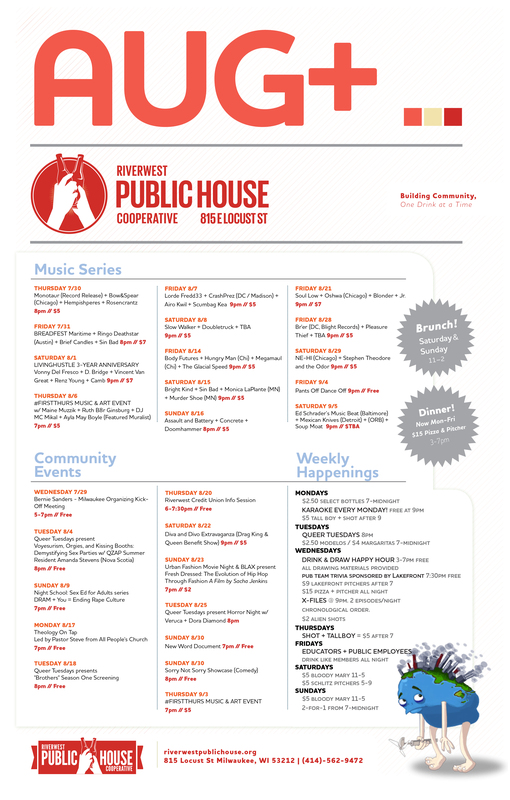 All proceeds going to Riverwest Cooperative Alliance for the support and foundation of our neighborhood cooperatives. Hope to see you there. Donate if you can (donations are non-tax-deductible). “Katie Kloth, aka Krow, is an activist, artist, forager, sustainable farmer, and biologist who has been committed to struggles to protect the environment and liberate all life for many years, and has spent the last several years organizing against the proposed Penokee mine. On June 11th, 2013, she was cited by the Iron County Sherriff for theft due to her alleged involvement in a rowdy protest earlier that day that disrupted bore hole drilling on the Penokee Range. Since it was considered such a minor crime, she was neither arrested nor detained that day. On June 21st, it was announced that the Iron County District Attorney increased the charges to robbery with use of force (a class E felony), two counts of criminal damage to property and one charge of theft of movable property (<=$2500). 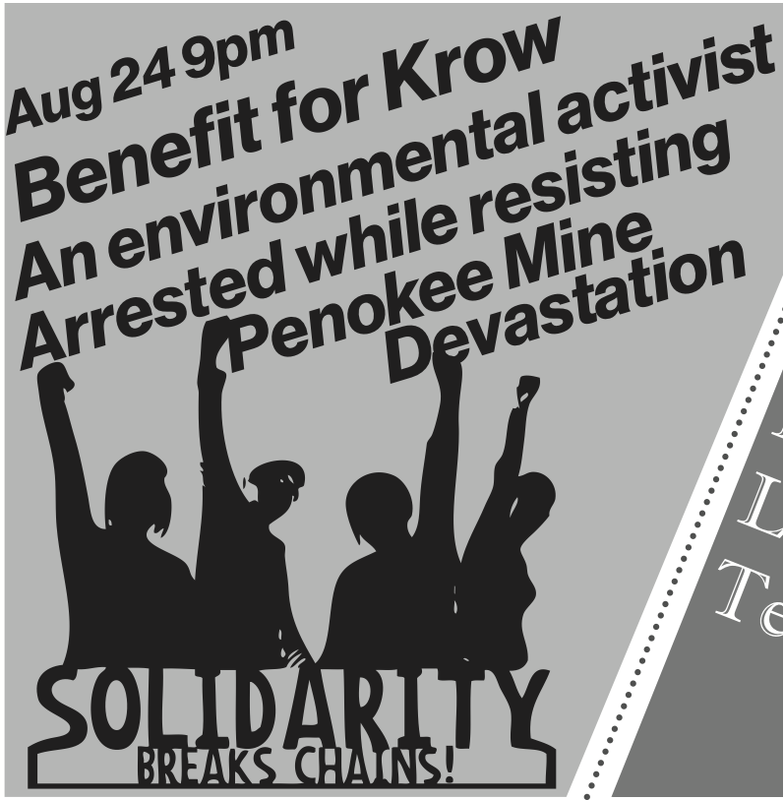 This event is to raise funds for Krow to go toward their legal fees. There will also be awesome “Support Mining Resistance” patches for sale, in addition to a talk on the situation in the Penokee Hills. This Sunday (mother’s day) at 7pm! 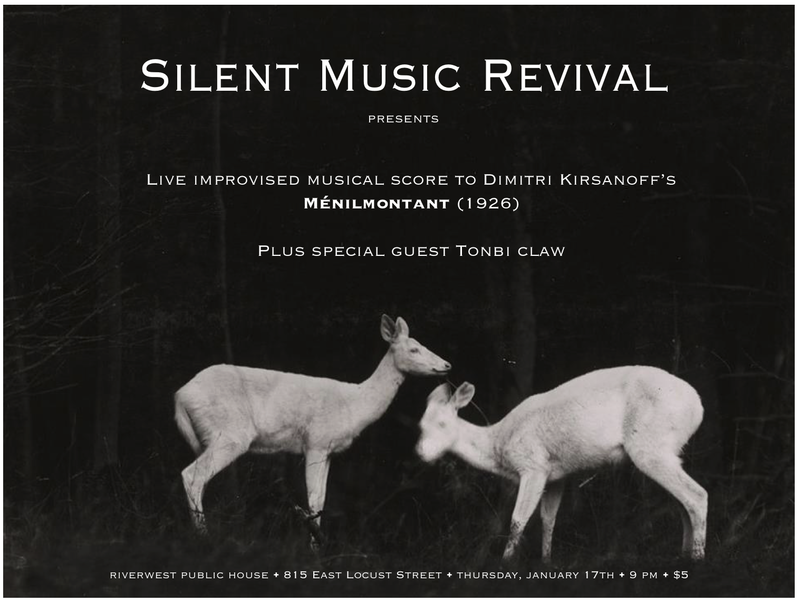 The Milwaukee installment of the Silent Music Revival presents local musicians Brandon Miller and John Larkin of Loup and Ylla, improvising dynamic, electric soundscapes to Dimitri Kirsanoff’s Ménilmontant (1926). Widely considered his masterpiece, the film exhibits several stylistic firsts including the exclusion of intertitles and the use of double exposure, communicating entirely through poetic, avant-garde imagery. Kirsanoff leads his audience through mesmerizing mazes of near-abstract montage and frantic bursts of ingeniously layered imagery to construct to the distressed mental states of his characters creating an overwhelming and powerful film unaffected by the passage of nearly a century. The ethereal, musical accompaniment will undoubtedly enhance the film’s resonance and provide an experience not to be missed. + Opening set by experimental noise rock natives Tonbi Claw.